I often like to take screenshots, either because I need them for articles that I want to write here on my website, but also because I like to have a personal screenshot collection on Steam. There are probably tons of reasons why people take screenshots. It’s especially interesting in games like World of Warships because the developer did put a lot of love into designing the ships since they are very detailed. But screenshots look best without the UI, so that’s what we will talk about here. 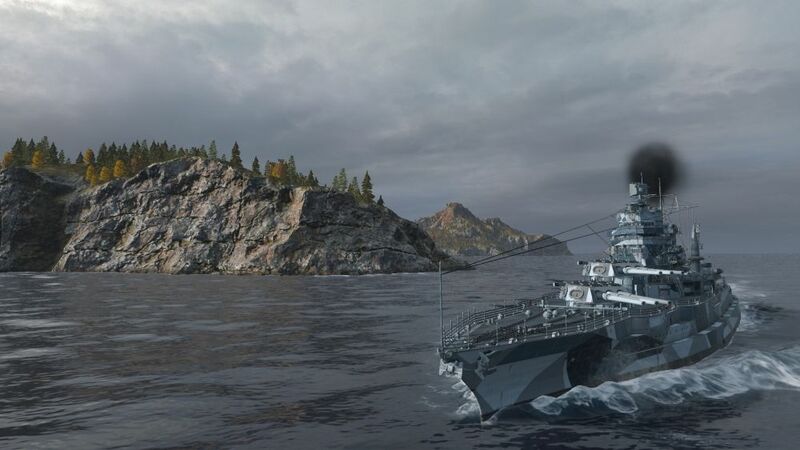 In this small guide you will learn how to disable the UI in World of Warships for a moment, so that you can take more beautiful screenshots of the game world. If you want to take screenshots in World of Warships during gameplay, you can press Ctrl + G on your keyboard and the user interface will be hidden until you press the same combination again. This works well if your ship is still intact, but it works even better if you are already spectator. Why? Because you can make use of the spectator tools to take screenshots from interesting angles. You probably noticed that you can watch individual team mates that are still fighting, simply by pressing the left mouse button to switch through them. But more interesting is the fact that you can also use a free camera tool by pressing space left shift on your keyboard. Then you can freely roam through the map by using the WASD keys and your mouse, this included zooming with the mouse wheel. On that way you can take some really cool screenshots of the allied ships. If want to have cool screenshots of your ships without UI in the port of World of Warships, you just need to press the right mouse button for a while and the user interface will disappear. The only issue is that a World of Warships logo will be visible, but you could crop that out with your favorite graphics editor. It’s still cool because you can use different port backgrounds for your screenshots. If you didn’t notice this, take a look in the left corner of the port screen, there should be a small blue flag with an anchor symbol, that’s where you can change the ports. I hope this small guide helped you in any way. If that is the case, you could also help me by sharing the article with your network. If you want to add some extra information’s or if you just want to talk about anything related, there is a comment section below. By the way, why do you want to take screenshots in World of Warships? Let me know in the comments! 🙂 Thank you for the tutorial, Dennis.